Noninflammatory thickening of the tendons and the synovial sheaths that the tendons run through the first dorsal compartment. The two tendons concerned are those of the extensor pollicis brevis and abductor pollicis longus muscles. 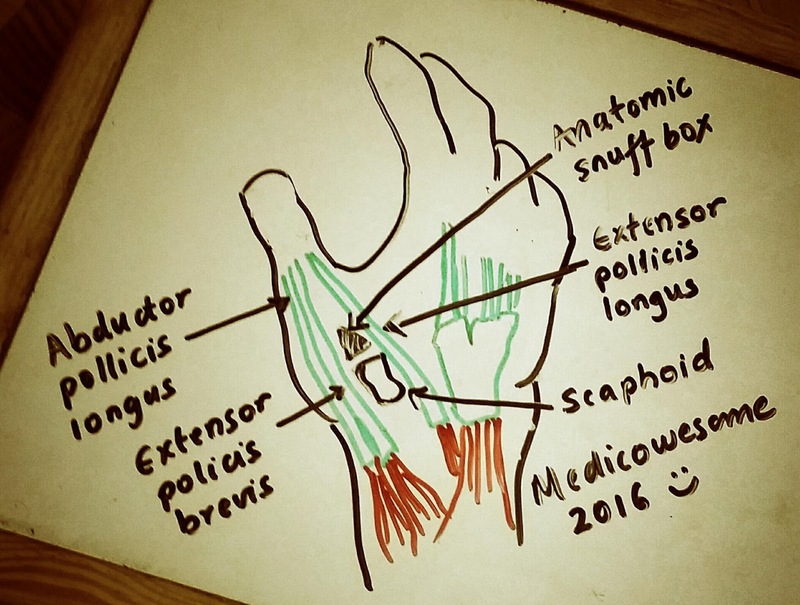 Extensor pollicis brevis brings the thumb outwards radially. Abductor pollicis longus brings the thumb forward away from the palm. The examiner grasps the thumb and sharply deviates the hand toward the ulnar side. If sharp pain occurs along the distal radius, De Quervain syndrome is likely. PS: You can perform this test in your step 2 CS exam in a patient with wrist pain.